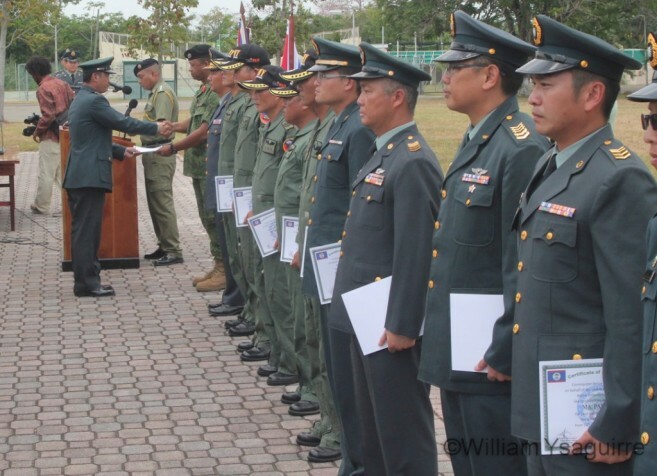 The highly anticipated development of a Belize Air Force is showing signs of a positive start, as on Wednesday, April 27th, the Belize Defence Force (BDF) officially received two UH-1H helicopters from the Republic of China (Taiwan). The helicopters, better known as Hueys, are the most widely used military helicopters around the world, with a capacity of up to thirteen passengers. The helicopters will primarily be used to deploy and evacuate troops along the border, crack down on illegal drug and human trafficking, and assist civilians in emergency situations. The handing over of the aircrafts took place shortly after 10AM at the BDF headquarters in Ladyville. 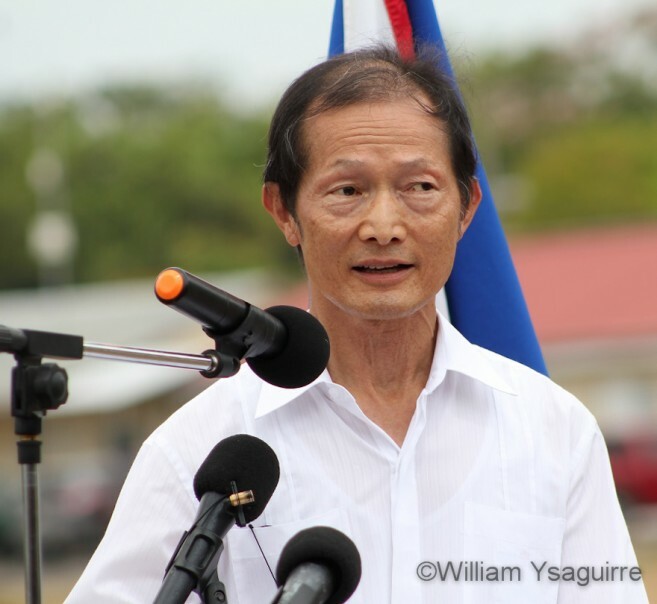 Present at the ceremony was Belize’s Minister of National Security Honourable John Saldivar, Taiwanese Ambassador to Belize, His Excellency Benjamin Ho, BDF Commandant Brigadier General David Jones, along with high ranking military officials from both Belize and Taiwan. The helicopters arrived in the country earlier this year, but it was not until Tuesday, April 5th that a 17 member team from Taiwan arrived in Belize to assemble the choppers. The team was comprised of engineers, technicians, mechanics and pilots. By Monday, April 18th the two helicopters were completely assembled. Ambassador Ho was the first to get a test ride after the helicopters were assembled. “As you know the relation between our two countries is always so cordial and so close; it grows each year. We not only cover agriculture, aquaculture, high-tech, ICT, but even in the medical area as well. Now, we even extend to security. These two helicopters are another milestone of our cooperation,” said Ambassador Ho. 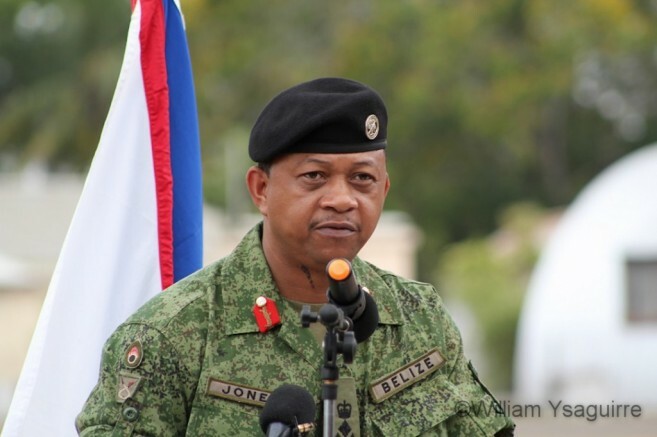 BDF Commander Jones noted that it was a long journey in acquiring these important assets for the Force and he looks forward to make the best use of them. 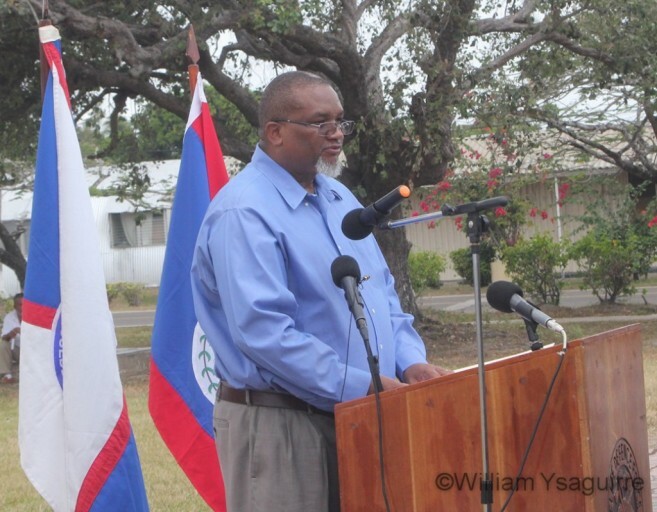 To ensure proper use of the helicopters, he stated that Belizean pilots will be undergoing proper training. “Our pilots have to be fully trained before they are allowed to operate the helicopters,” said Jones. The pilots and mechanic crew will begin training within two weeks. So far the BDF pilots and crew have been taking basic training from the Taiwanese team presently in the country. 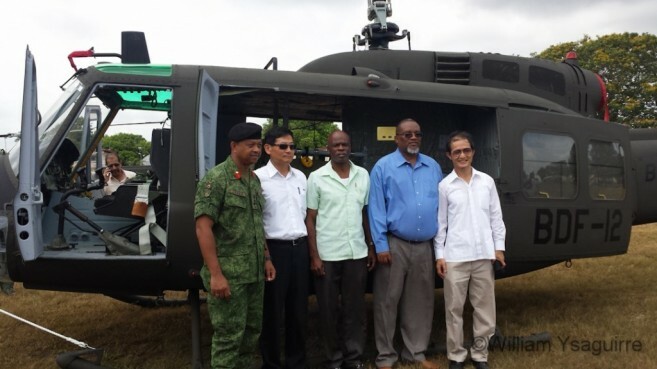 The two new helicopters will join the Bell 407 helicopter that was abandoned on August 5, 2015 in Blue Creek, Orange Walk District and acquired by the BDF. With the latest addition to the fleet, the BDF Air Wing will now count with three working helicopters.